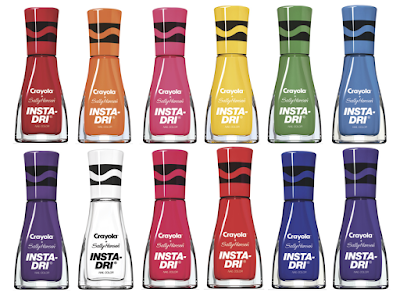 Sally Hansen has teamed up with Crayola to bring you some fun nail polishes, perfect for all of your back-to-school needs! 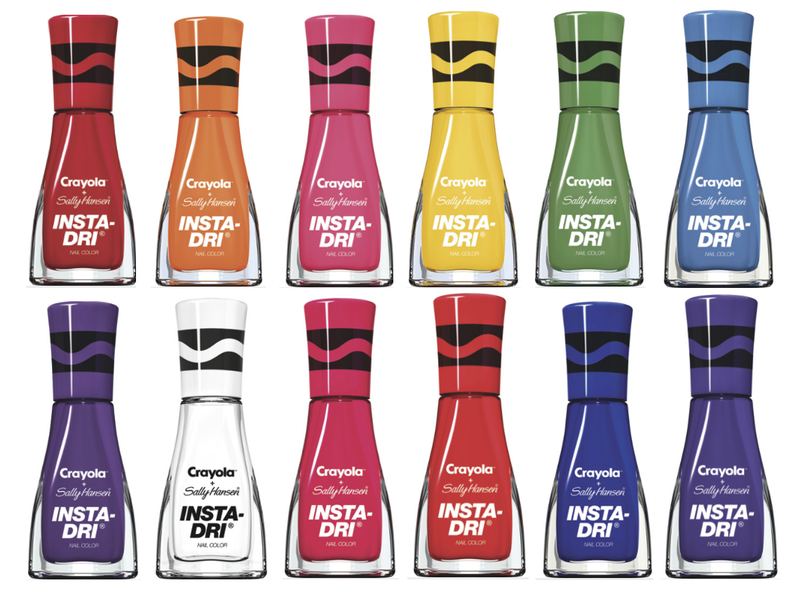 The new Sally Hansen X Crayola Insta-Dri Collection offers 12 new bright and bold polishes that dry in just 60 seconds! This 3-in-1 formula features a built-in base and topcoat to provide long lasting wear that dries within seconds; perfect for the busy girl-on-the-go! You can pick up any of these limited edition colors at your favorite retailer for $5.